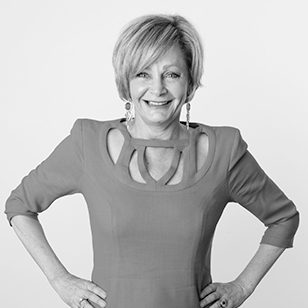 Jackie Crossman is a distinguished member of the Australasian PR community by any measure – longevity, client acquisition and impact, industry service, peer recognition or awards success. A Fellow of the Public Relations Institute of Australia (PRIA) and regular judge of PRIA’s Golden Target Awards, Mumbrella’s CommsCon Awards and B&T Women in Media and 30 Under 30, Jackie is a corporate and marketing communications specialist with extensive experience and expertise in issues and crisis management and integrated communications campaigns comprising public relations, social media and experiential activations, events and sponsorship. Her early career was in radio and after a grounding in PR with global firm Burson-Marsteller, Crossman founded her own consultancy in New Zealand in 1988, a business that eventually became Porter Novelli New Zealand of which she was Managing Director. Prior to forming Crossman Communications again in Australia in 2003, she was Executive Director of NISAD Schizophrenia Research based at the Garvan Institute in Sydney. Crossman Communications was acquired by Red Agency on 1 January 2016 and Jackie was appointed Sydney Principal. The creator of the long-running Sanitarium Weet-Bix Kids Tryathlon, National Vegetarian Week and Research Australia “Thank You” Day, Jackie has counselled many of Australia’s most successful companies and won multiple awards at state, national and international level including Australian and APAC accolades for her work to rebuild trust in Malaysia Airlines following the twin tragedies in 2014.